Here in Brighton & Hove, we’re spoilt with good food options, but when the chance of a free burrito comes up, we certainly aren’t ones to shy away from it. 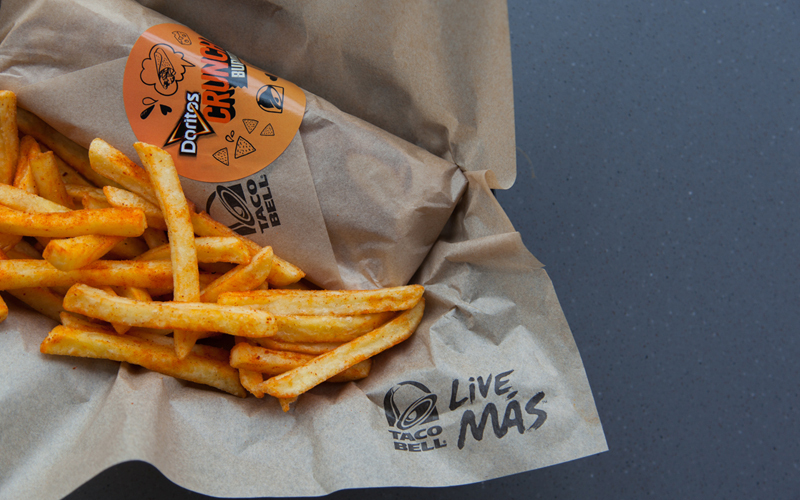 Taco Bell UK have been doing some research and they found that we Brightonians experience food cravings every afternoon, with almost half (42%) of us in the city being most tempted to fulfil our urges with chocolate (whatever do they mean?). In an (admittedly not entirely altruistic) bid to help us with our cravings and stay away from the sweet stuff, they’ve helpfully launched The Doritos®Crunch Burrito and, to celebrate, they’re giving them away. Literally. Head down to Taco Bell on Western Road this Thursday 10th May from 3.28pm (the official time our cravings kick in – see what they did there? ), quote ‘crush my cravings’ and you could be munching your way through a burrito – gratis!